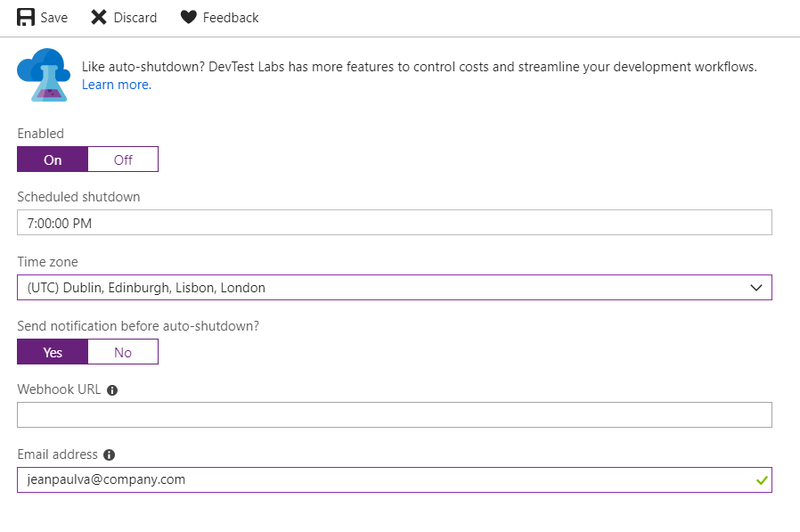 Azure VM–Save Cost by Auto-Shutdown – Microsoft Azure Articles..
At the same time the Cost can be Quite Huge if one is considering High Configuration with Costly Software Licenses. Most of the time I have noticed the Users will be using VM only less than 6 hour per day. Rest of the time it will be left alone. This is simply eating lot of $ per hour if you calculate the hours X days for a Month. In the appearing blade choose the Enabled option. You can also set an Email for notifying you before the shutdown. Did you know how to Auto-start VM ? If yes, please write a new blog post with the information. This must help to someone.